I love pine cones. They have so much possibility. A few weeks ago one of my preschoolers gifted us with a box full of pine cones shipped from New York by his grandmother. I was in heaven! My mind was buzzing with ways to use them. 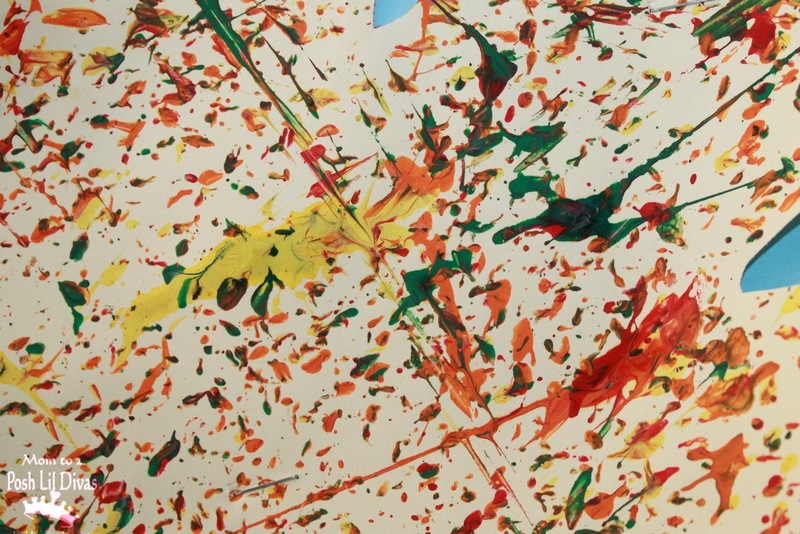 Kids love shaking, rolling and mixing things up to paint - it gets them moving, makes noise and they can watch the result forming art right before their eyes. I save boxes to use for this type of art/painting. 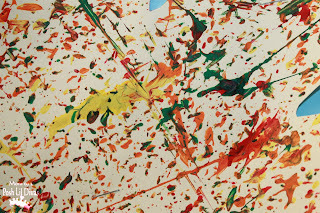 As you can see my box has lots of paint splatter - I LOVE it. It's a piece of art all on its own. 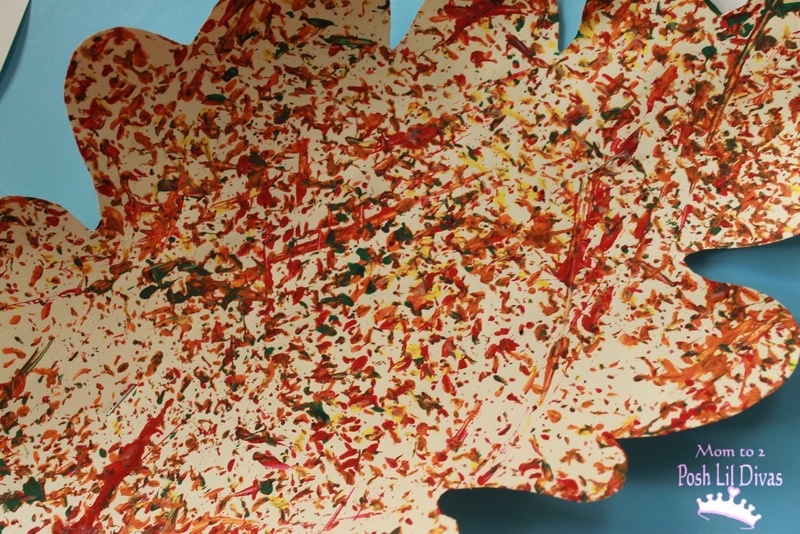 I cut various large leaf shapes from card stock to use and let the children choose whichever one they wanted to paint with. 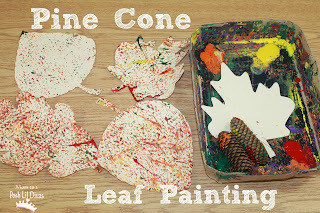 We put some paint on each corner of the box (I choose fall colors - yellow, orange, red and green) and put in two pine cones. Then, the children got to shake, shake, shake the box to roll the pine cones around. We had a few fly away pine cones when the shaking and rolling got a bit too rigorous but for the most part the box keeps the mess contained. The pine cones leave some great prints. The more you roll and shake the more pronounced the effect will be. 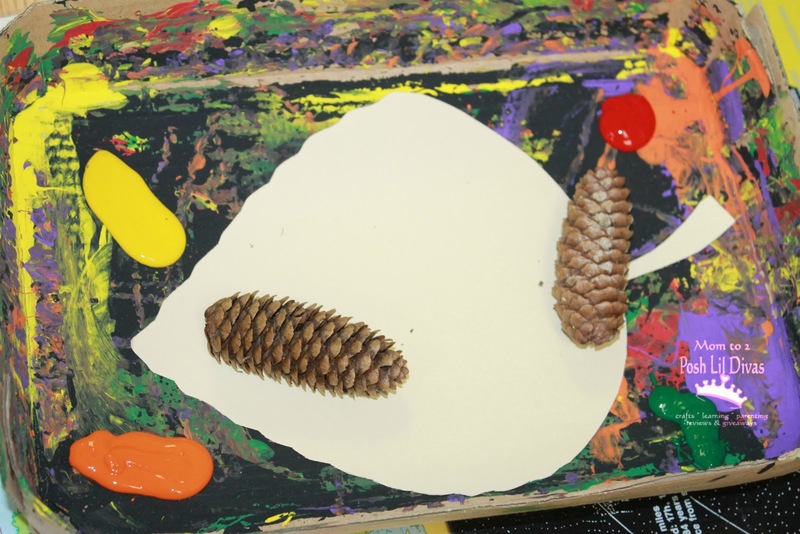 Some children spent a great deal of time shaking and rolling the pine cones while some kept it simple. 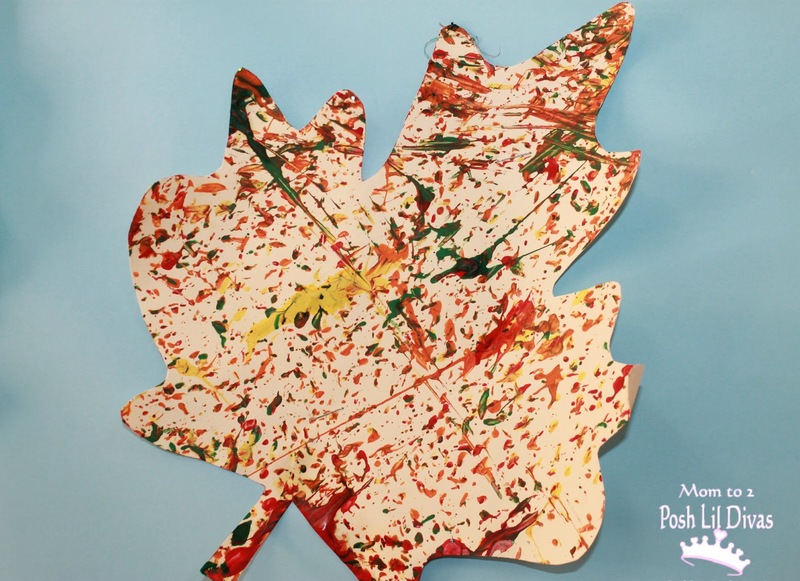 We displayed our leaves on our classroom bulletin board and they look AWESOME! 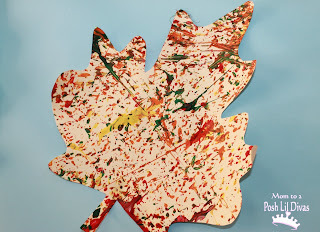 It definitely bring a bit of fall into our otherwise sunny South FL classroom. This is so easy to do at home or in the classroom and it's great for kids of all ages. You can use a covered box if you like with smaller children or are afraid of flying pine cones but half the fun is watching the process and seeing the art right before your eyes. Have fun Pine Cone Leaf Painting! Love this. I hadn't thought of shaking the pine cones in a box. 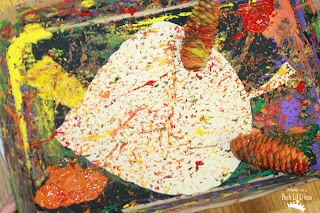 I know kids LOVE the marble painting in a big box lid. But this is really sensory. Very clever. Hope you are having a wonderful time teaching - but I can see that you are. The pinecones really do leave a nice print on the paper. 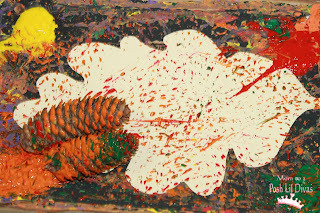 I haven't tried painting with pinecones yet! Love it! The kids relaly enjoyed rolling them all around, especially when we had a few that flew right out the box! I LOVE the prints they made but the kiddos really enjoyed the process which is what it's all about. 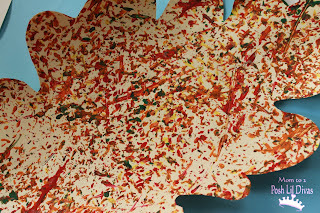 The leaves are so pretty! Pine cone painting looks like fun. This is a really cool idea! I didn't even think to do painting with our pine cones!